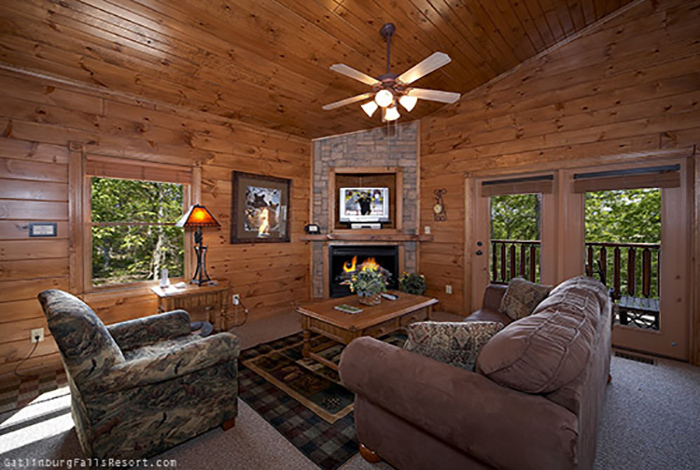 Escape the stresses of everyday life and enjoy the wooded seclusion of Remote Rendezvous. 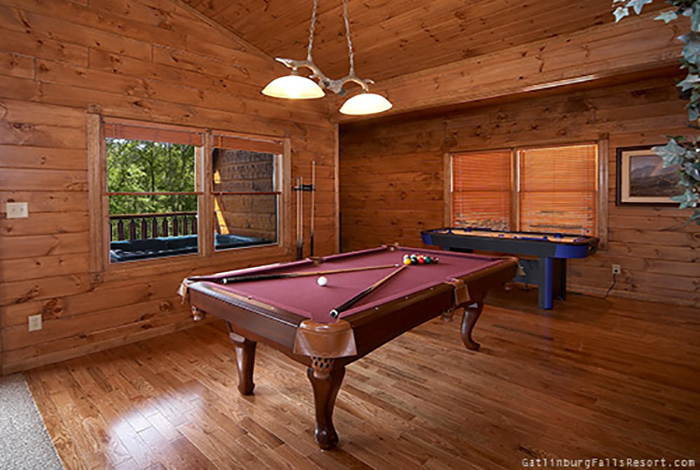 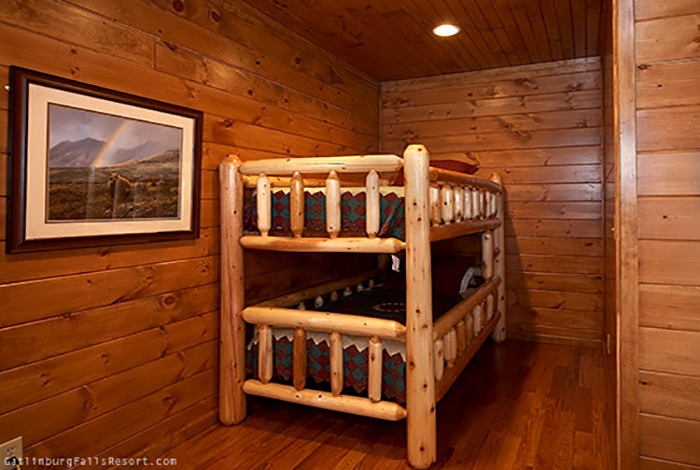 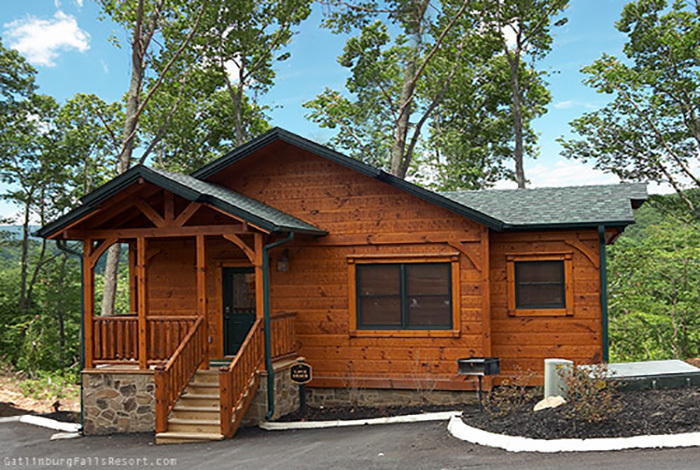 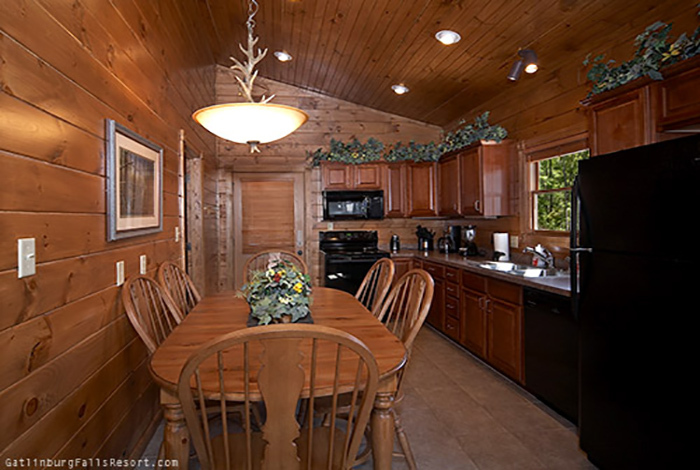 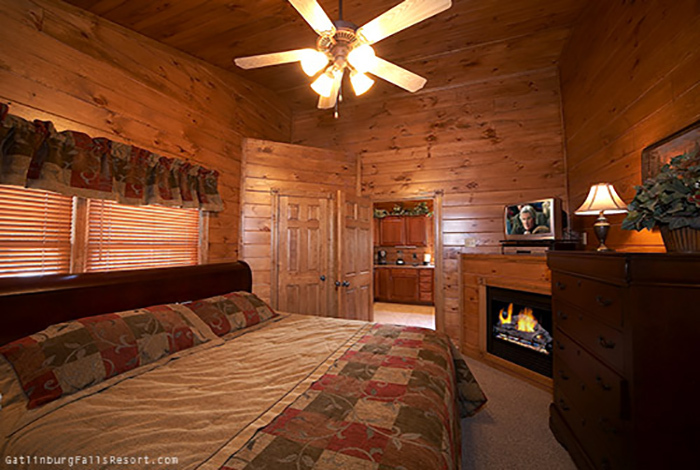 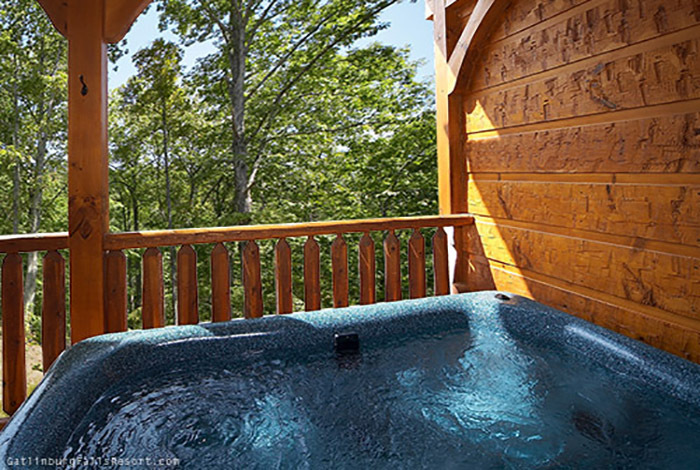 This 1 bedroom luxury Gatlinburg cabin rental offers guests spectacular views of the Great Smoky Mountains National Park while being located just around the corner from the action of downtown Gatlinburg and minutes from the attractions of Pigeon Forge. 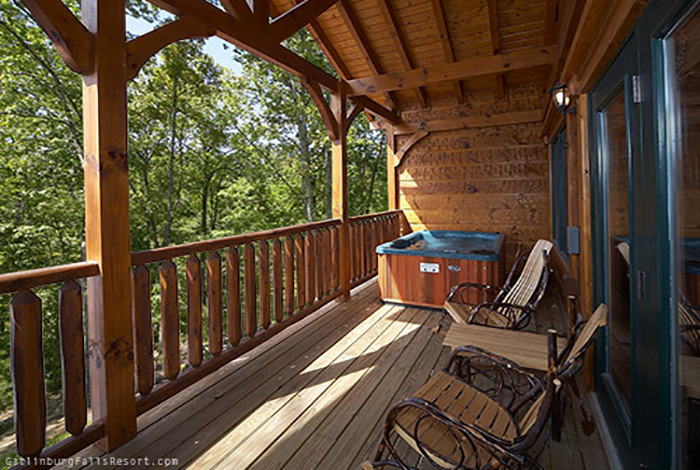 After enjoying the mountain views from your hot tub, porch swing, or Amish rocking chairs, step inside and see what makes this cabin truly extraordinary. 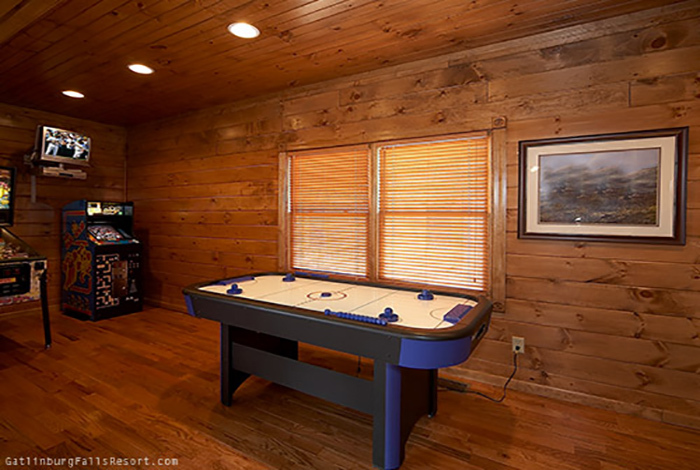 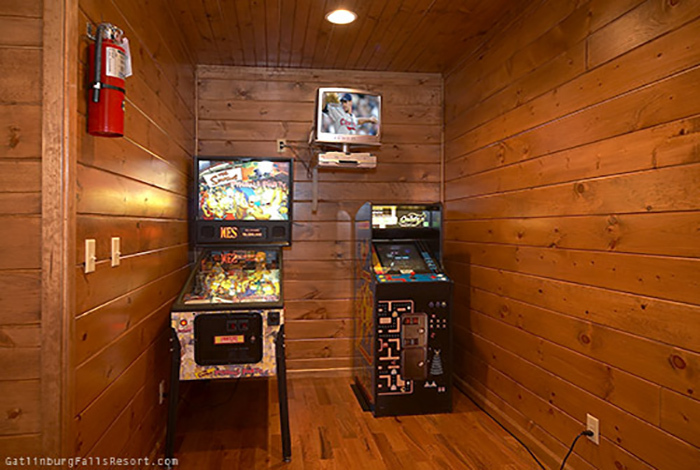 Couples will love the heart-shaped Jacuzzi and vertical jetted shower spa, while the kids will stay occupied in the game room featuring a Simpson’s pinball machine, Air hockey table, Pool table, and Ms. Pac Man/Galaga arcade game. 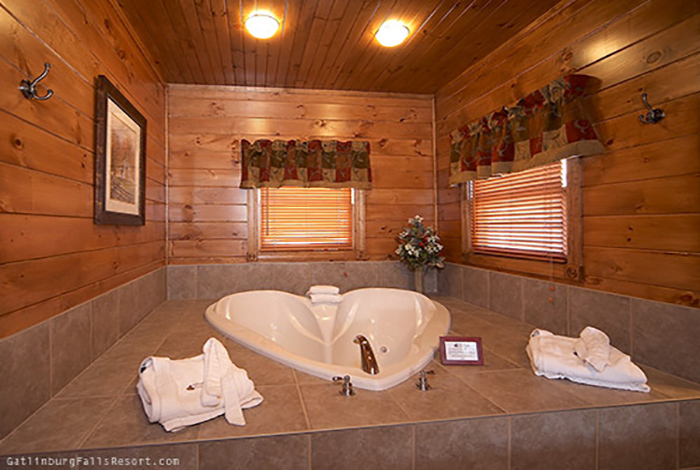 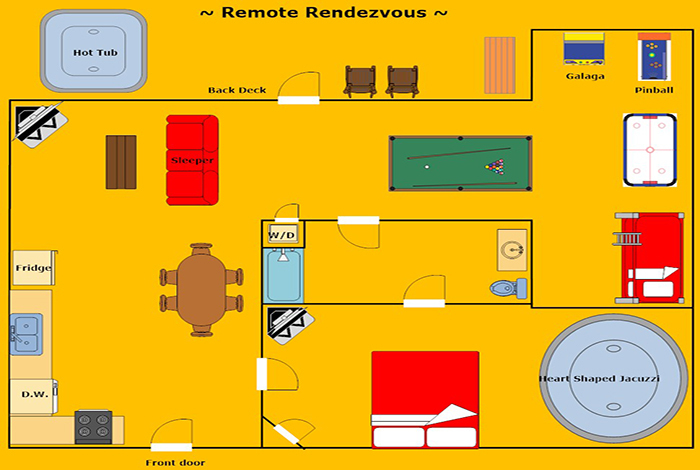 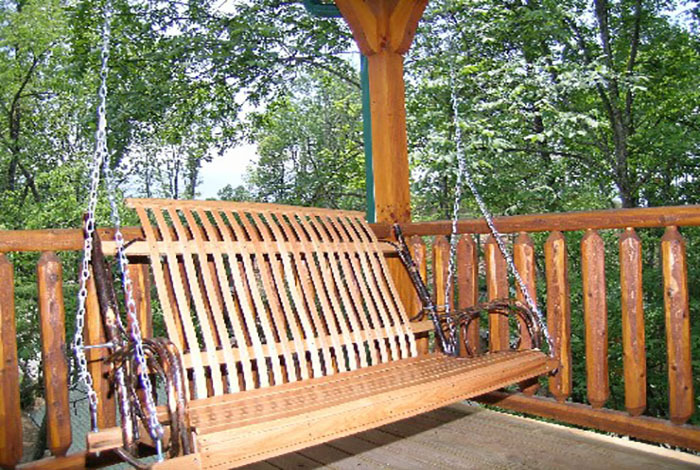 So whether you are looking for a couples retreat or a getaway with the kids, a stay at Remote Rendezvous in the Gatlinburg Falls Hidden Valley Resort is sure to create memories that will last a lifetime.